It is with sadness yet appreciation for a life well lived, that the family of Lewis B. Williams announces his peaceful passing that occurred on Friday April 12, 2019 at the Saint John Regional Hospital. Born 1923 in Saint John, he was the son of the late George and Maude (Moore) Williams and husband to the late Eileen (Addison) Williams. Lewis worked as a Heavy Equipment Operator with the City of Saint John for many years. He enjoyed boating and playing cards. He is survived by his sons Ronald (Janice), Lewis (Judy), Mark and Michael; daughters Joanne (Les), Sharon (David), Heather (Mike) and June; 16 grandchildren and 33 great-grandchildren as well as several nieces and nephews. In addition to his parents and wife, he was predeceased by his brothers Jack, George and Harold; sisters Helen and Josephine and sons-in-law Glen and Curtis. The family would like to express their appreciation to Pat and to the staff of Kennebec Manor for the special care given to dad over the last 3 years. 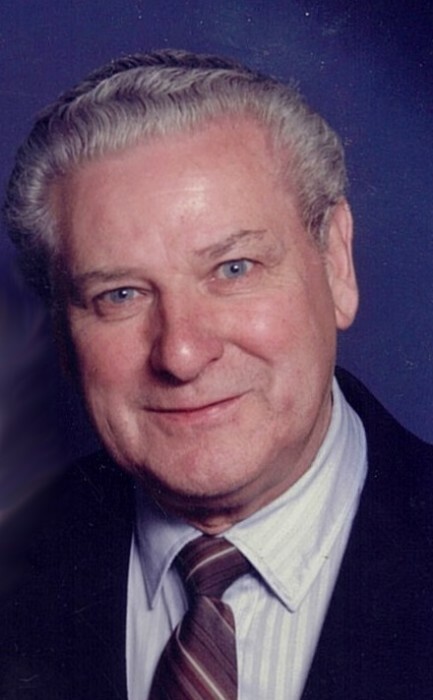 Arrangements are under the direction of Fundy Funeral Home, 230 Westmorland Road where visitation will be held on Wednesday April 17, 2019 from 11 a.m. to 1 p.m. A Memorial Service will immediately follow in the Fundy Funeral Home Chapel. Interment will take place in St. Joseph’s Cemetery. The family would appreciate donations to the charity of one’s choice.